Next meeting: May 8, 6-7:30pm at Mary Helen’s home. The PCOC is an oversight committee reporting to the Sequim Picklers Board through the Director of Court Operations (DOCO). PCOC provides continuity for court operations as the board members and DOCO change over time. Oversight and action by the committee takes the burden and power away from single individuals. PCOC is an advisory group, responsible for everything to do with pickleball courts and court operations (including input on court construction as it impacts court operations). Working on behalf of the club, we have an accountability to make sure club interests are solicited and represented in all court operations issues and decisions. We will make decisions by consensus or when consensus cannot be reached, by motion and vote. Items of importance will be presented to the Board via motion by this committee and presented by the DOCO. Kyle McKenzie is moving to Spokane and will no longer be part of the PCOC. The peacocks are a highly functioning group and we see no need at this time to find a replacement for Kyle. PCOC/DOCO/ADOCO developed the proposed play schedule for the Carrie Blake courts (CLICK HERE TO SEE). We spent a lot of time trying to make sure we addressed the needs of all our members. Christy agreed to take the lead on exploring additional indoor play options (other than B&GC). Dave S dropped off all the Carrie Blake court sign mockups with the City on 3-14-18. They will review them and get him feedback by end of next week. Dave Nakagawara mentioned two other relevant items: 1) the City has approved SP’s request to install a locked display case near the court entrance gate; and 2) the City would like to know what SPs plans are for a storage shed and kiosk … design, materials, and where the structures will go. Approval of costs for the various court signs. Approval of cost for a locked display case. Discussion of the proposed court schedule. Dave: add to May PCOC agenda … explore other options for indoor play. Dave: re-do draft play schedule at 8 new courts and send to DOCO for submittal to SP Board and cc PCOC members. Dave: get cost estimates for Carrie Blake court signs. Dave: take a look at plastic sheets that Mike Cooper says are being stored in shed at 3rd & Fir for new court signage. Christy: talk with Dave at B&GC to see if they have policies/procedures for when to call 911. Christy: schedule a kids clinic at B&GC. Christy: check with Katinka about club insurance. Christy: check with Sequim School District about playing pickleball in Community School Gym. Debbie: post PCOC minutes on SP website. Kids Clinic – need to get one scheduled this Spring. Play formats and ‘equal time’ for all member needs at new courts – structured, competitive, social, beginners, hosting, open house, ‘play with 5.0’, public engagement. Awards – types, costs, vendors, etc. Additional Venues – are there any other places to throw up a net and play if we lose 3rd & Fir before the courts are built? Court Construction – Dave is the liaison between the Court Construction Committee and PCOC – he’ll share info with PCOC and take input to the construction committee as is appropriate. Court Budget – provide input each year for equipment, maintenance, rentals, tournaments, etc. 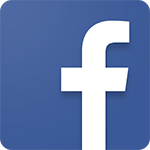 Marketing / Community Awareness – contribute stories / info to the member newsletter, webpage and external promotion. Equipment maintenance – balls, nets, etc. ICE Cards & Court Emergency Plan – cards and instructions available at GYM. First Aid Kit – 1 at the GYM now, another at 3rd/Fir in the Spring, another at Courts when open. Youth Outreach – conduct 1 -2 youth clinics at B&GC gym (starting 2018 also in new courts) using volunteers and Ben’s program. This program aligns with our mission and creates community / connection. 3rd & Fir Playground Use – Dave Shreffler is the point of contact with the Sequim School District. Until new courts are built, Dave will work with the school to determine the schedule (days / times) that the SP can use the facility. Info posted on the club calendar and communicated through the newsletter. Must be compliant! 3rd & Fir Summer Schedule – DOC set summer scheduled for group play at 3rd & Fir. Open, Novice, Singles, Rated, etc. Strive to allow time for each rated level, new people, classes / clinics and social time. Club Exchange Program – DOC and volunteers will conduct 2-3 exchange programs with local clubs. Communicated through website, newsletter and email; provide hospitality. Spreads awareness and goodwill – beneficial for grants, tournaments, community connection. Complaints Protocol – DOC communicated to the Board that PCOC would like to be the venue for discussion of any complaints related to courts, court operations, and injuries/accidents/incidents. The Board voted in favor. Thus far, in 2017, there have been two court play time complaints and one accident/incident brought to the PCOC. Court etiquette sign – sign adapted from research done (Dave) on existing courts and USAPA. Court Protocols – revised and published at the Gym in a notebook and on the website. Women’s Clinic – cancelled and all money returned. Will look into holding a replacement in Spring / Summer. First Aid Kit – Basic kit purchased and available at the gym – kept with the indoor courts coordinator. B&GC position statement approved at March SP Board Meeting. Waiver statement added to the top of B&GC sign-in sheet. Christy working with Ron to do stats for the ladder league on Monday nights at B&GC. 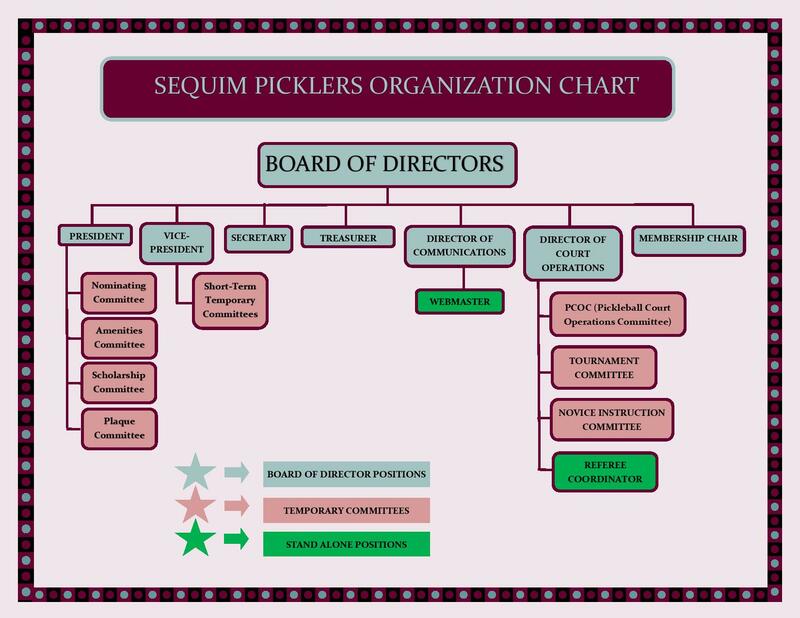 A description of the rating process for Sequim Picklers was posted on the website. Tournament planning underway using outside coordinator. Developed a web page showing all the Court Operations teams and duties, with pictures. Player Ratings Process / Communication / Tracking – this falls under the League Play group to manage and will be tracked by the statistician. Monday night is designated for ‘competition’ play for leagues and ladder. Time in between leagues will be tracked ladder play. Ladder league and open ladder play stats will be kept and communicated to players that participate. Referee Training – schedule, process, practice, testing, certification, etc. falls under the Reffing group to manage. It’s critical we keep a solid pool of refs ready for tournaments. Marty Hoffman is the lead.